The real estate program at Wichita State was founded in the late 1970s, making it one of the oldest real estate programs in the country. Since its inception, the program has strived to maintain close connections with real estate professionals throughout the region. 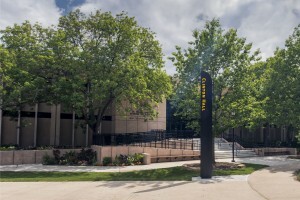 In 2000, the Center for Real Estate was established to help deepen the connections between the professional real estate community and the academic programs at Wichita State University. Housed within the W. Frank Barton School of Business, the Center for Real Estate engages in a variety of research, community networking, and student support activities to achieve this goal. The WSU Center for Real Estate strives to be the premiere source of reliable data and independent, expert analysis of real estate markets and related policy issues in Kansas. The WSU Center for Real Estate enhances the business environment and quality of life in Kansas communities through research and analysis of real estate markets and related policy issues. By providing the depth of information expected by investors in a competitive global economy, the Center elevates and promotes Kansas real estate markets. Facilitates cooperative relationships among various real estate-related industries.